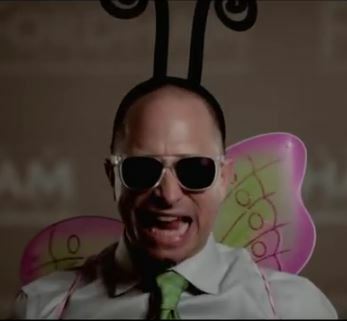 Michael Petrilli of the Fordham Institute is now on a multi-state newspaper editorial tour pimping their newest standards report. And yes, the new report has Bill Gates money behind it – again. In no way, shape or form did NC 'ditch' Common Core. Why am I not mad? To be honest I just really welcome another chance to take the Common Core trash to the curb. Test scores on nearly every state and nationally given test, despite all of them now being Common Core aligned, have been flat or falling since the implementation of the standards. Reading proficiency in K-3 has not improved as promised. Reading and Math scores for minorities are not improving – if anything, the achievement gap is widening. Show me a state who has had rising “career and college ready” percentages at any grade level. The k-5 years are foundational learning years, and Common Core provides a consistent mental beat down for these young learners. Common Core has not performed as advertised. The moms told everyone this would be the case and we were harassed and mocked for it. Now go re-read one of Fordham’s latest round of preachy, ridiculous editorials pushing the idea that states are not being faithful enough to a crappy set of standards. While you’re re-reading it, also ask yourself if you’ve read anything more transparently about jumpstarting the multi-billion education spending money train or not. One might recall the name Fordham – this organization was responsible for the 2010 report that graded state standards, flunked the majority of them, and determined that none of the standards in use were ‘career and college ready’. 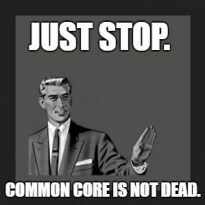 That 2010 Fordham standards report was bought and paid for by the Bill and Melinda Gates Foundation and it set the stage for Common Core to become the set of standards for all states to use. Shorter: The Common Core fix was in. Over the years, the Fordham Institute has received $8,911,462 in grants from the Gates Foundation and $4.7 million of which Fordham has received since the advent of Common Core. With Common Core in the news again, the old and busted arguments of the supporters of the standards are back again too. Time to get the Serenity prayer back out, Moms. Hi, mom of 2 k-12 children dealing with the Common Core trainwreck here. I am not confusing anything, but you are clearly confused about what "disingenuous" means. Standards dictate to everything: Books, handouts, teaching methods, lectures, quizzes, and tests. FULL. STOP. This entry was posted in Academic Standards Review Commission, Common Core, EDUCATION, LL1885 and tagged Fordham Institute, Michael Petrilli. Bookmark the permalink. The Gates Foundation owns N.C. Education. Welcome to the machine.